Rent-to-own: What does it all mean? When the time comes for you to purchase a used car, this can be one of the most daunting purchases to make. How do I finance it? Where do I shop? It would be so much easier if you could have a trial period in order to see exactly what option is best for you. But you can’t do that surely? Wrong, the good news is, you can. 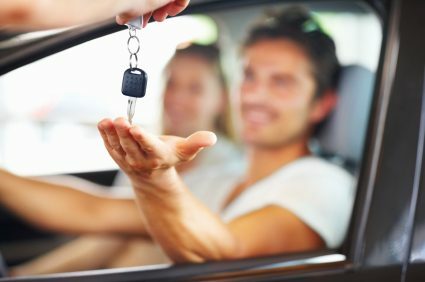 When purchasing a used car there is the option of rent-to-own (also known as a lease-option) In a nutshell, when you rent-to-own, it means you will be using the car for a period of time as a rental. Once this time frame has elapsed, you may exercise the option to buy. In essence this means a rent-to-own contract is an option agreement; you have the OPTION to buy after renting or not. In retrospect, rent-to-own may not only benefit you with regards to saving you time, but may also turn into a lifestyle option as the latter point reveals, making tax returns just that tiny bit more pleasant. Furthermore, who wouldn’t love a trial period to really get a feel for the car before rushing straight into purchase? With Earn-a-car, we can help you realise your dream in as little as an hour. All you need to do is fill out our simple instant credit approval to get the ball rolling. You can rest assured, your finance choice offers the best value for money. Contact us to get back on the road and back on track.